Obviously the borders between the three zones are vague, due to the developing social interaction amongst the residents. This is a very strong, clear proposal to address the issue of an aging and changing population and the boredom of static slab block architecture. 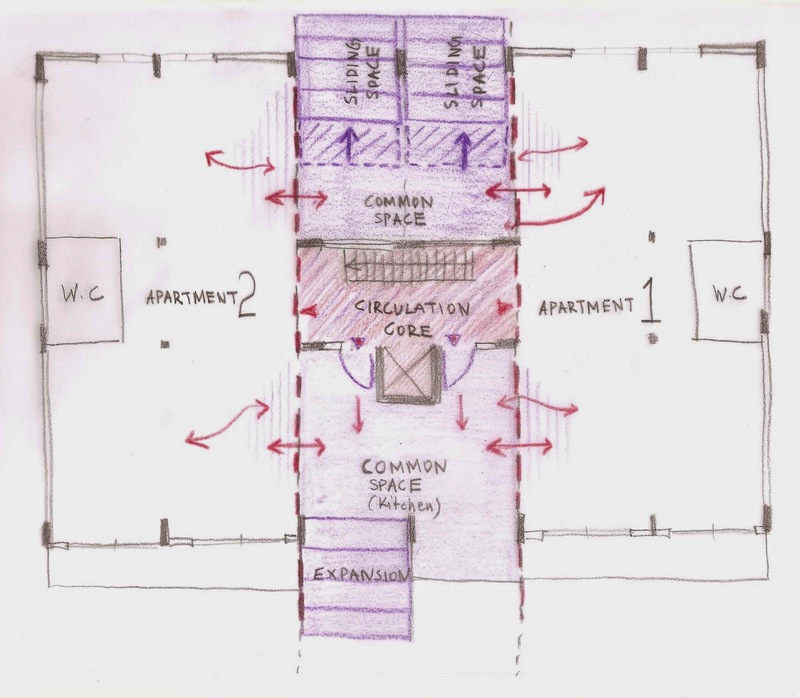 It proposes social, flexible, communal spaces in pods adjacent the vertical circulation that can project outwards beyond the building line hence animating the public realm but that can also can be eroded over floors to provide vertical sectional connections including urban gardens. 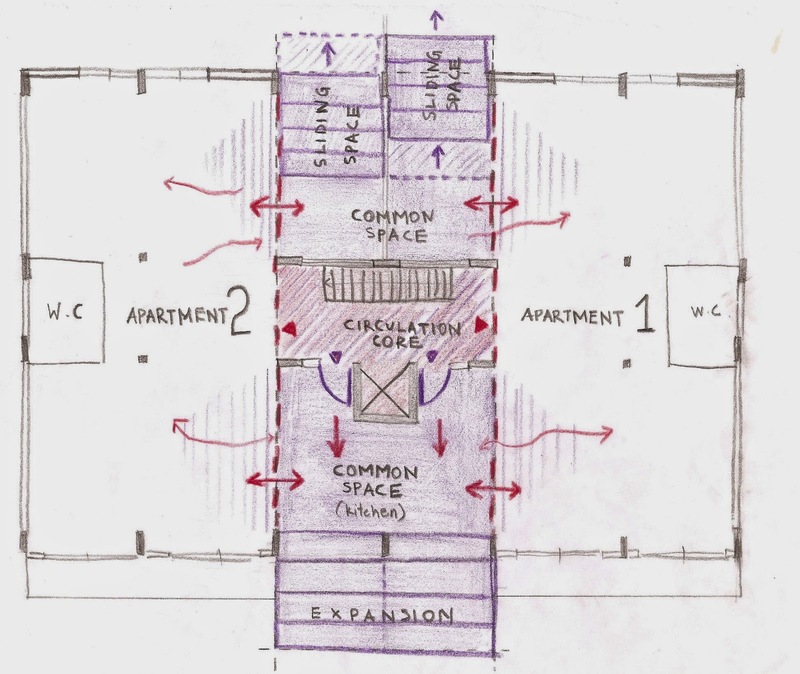 This basic premise is well developed with a good mix of different types of drawings and digital models with lots of ideas shown in the sketches for how the communal spaces might be used. The central image of one overall block with a variety of projecting pods shows convincingly how the block could be transformed. The plan diagrams show the options for apartment sizes and types and the way the communal spaces could be appropriated within larger apartments. More time would have allowed for these plans to be developed which would have been useful. The main section also could have shown the possibility of vertical connections in more detail. If the Fab Lab system could be developed to structurally cantilever in such a fashion as shown then this could prove to be a very feasible approach for a dynamic transformation of the Portela blocks.